Most see the do-it-yourself entrepreneurial business as fairly lucrative because they are the sole beneficiary of revenue although most don’t see the work that goes into it. Common mistakes continue to repeat itself in this business which plagues entrepreneurs each year. The key is to seek guidance as well as to follow the standards that work. 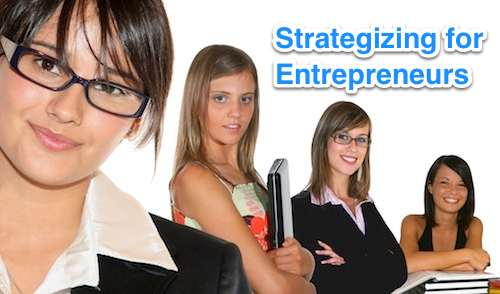 Entrepreneurship is the definition of hands on learning in a fast paced environment. People tend to choose this lane because they can work under their own terms, on their own time. They are capable of choosing their own team to work with and working in a field they truly love rather than a job that may just pay the bills. But what is required of the business is an internal drive because in the beginning everything relies on you, you are the business. Major attention to all costs is also a large part of the self-starter job because there isn’t any room for financial mistakes. Seek outside advice from credible sources and relations so that you are prepared for what is to come. The hardest things to come by in the entrepreneurial business are the most essential resources, time and money. With a limit on time and money, entrepreneurs have to make the most of opportunities but they have to explore those that are worth it because time can be wasted chasing dead ends. Learn from this list of 7 Lessons From Aspiring Entrepreneurs by Forbes and prioritize to take small steps to reach big goals. A strong strategy in place can focus the work so that the output of the business is in places that can maximize the benefits of the business’ work. A thorough strategy does this through a number of methods. Identifying a particular audience that will be the main customer base is important because your product or service should cater to that population. When you identify an audience you will begin to gain a steady stream of customers from that base. For example, if one was to begin a business making custom t-shirts and they produced colorful, cartoon graphics then their target audience is most likely the younger crowd. The t-shirts they produce now fit the desire of the young, creative audience and from there they build a steady stream of clientele. An in-depth strategy also analyzes the competition. One of the top Self Marketing Tips is that you need to learn how to develop and write a market feasibility study such as as the Knowing who you are up against in your field is important because you need to set yourself apart from those in the same business. Entrepreneurs know where to differentiate themselves from their competition because they have an understanding of the surrounding businesses. This includes the competitors’ target audience, general approach, and unique service or product. Marketing is a large part of a business’ success and doing it yourself can be tough at times. Attracting a customer population comes from marketing your product and catering it to their needs. Advertising is a major part of a marketing campaign that requires a detailed planned to really work effectively. Plans that introduce your business to the public may bite into your costs so as an entrepreneur you must find the most cost effect way to market your brand.